I'm a girly girl all the way. I'm most comfortable in a sweet floral sundress or in a sweater with a pair of oxfords, but sometimes I like to try something different too. 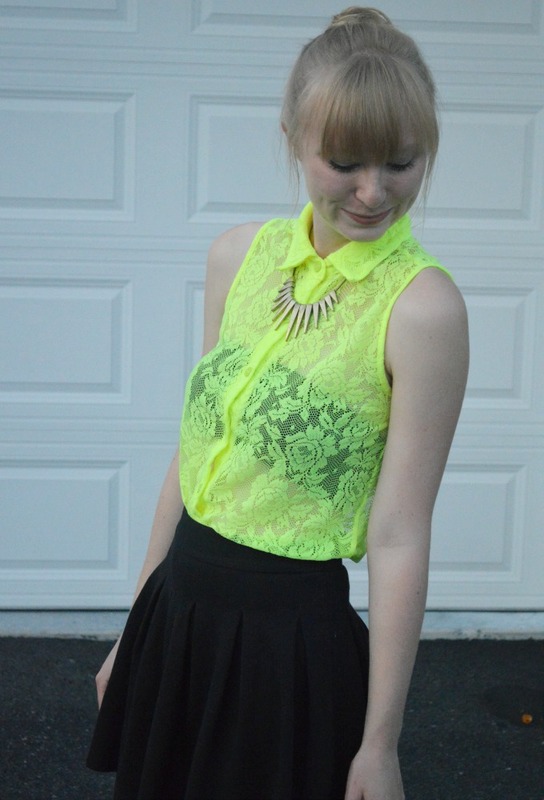 This outfit was fun to put together, I tried to go for an edgier look than usual but didn't stray too far from my look by adding the circle skirt. Oh my gosh so cute, I love this! That top is awesome! 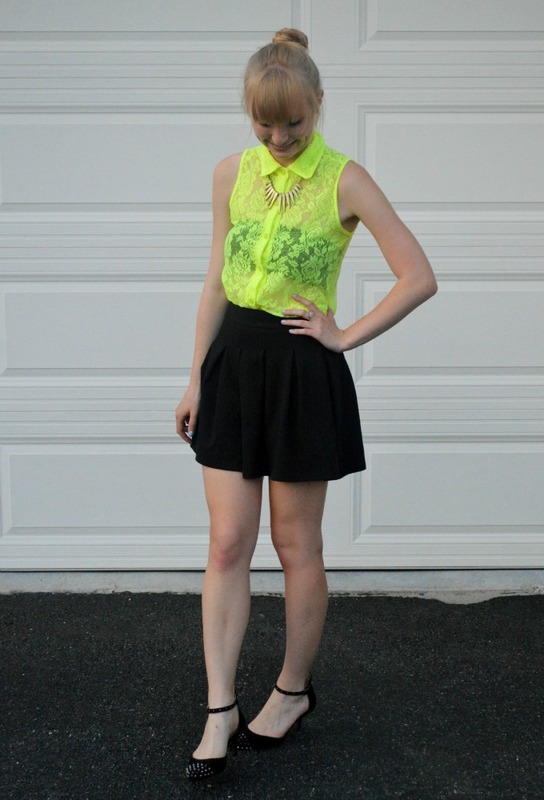 You look both edgy and chic, no mean feat! Those shoes are incredible! My hunt starts now! 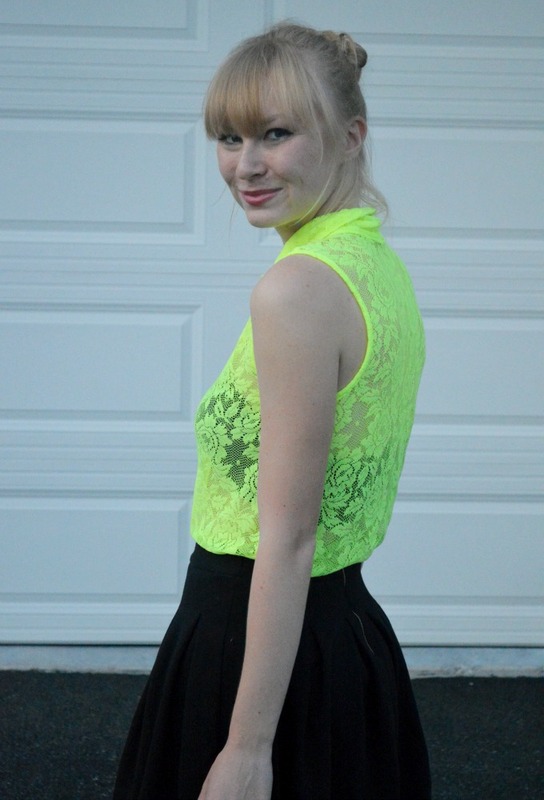 i love this pop of color! super cute! Very cute! And extremely similar to Ashley Madekwe (http://ashley-ringmybell.blogspot.com/) in my feed today! 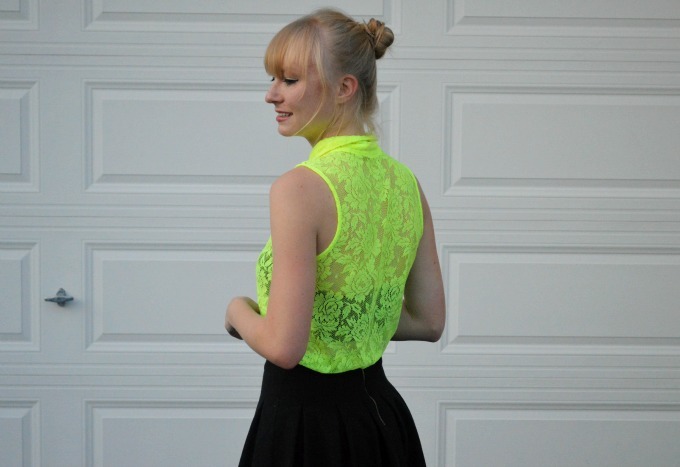 Love that neon lace top! 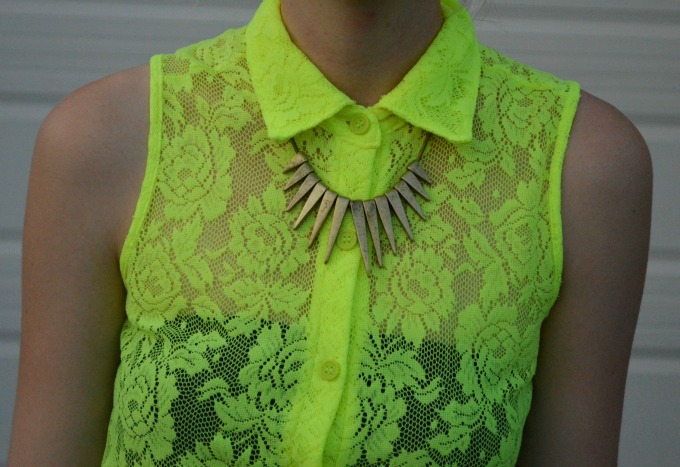 I love the mix of the collar and that necklace! I used to have straight bangs like yours and have recently started growing them out, but now after these pics of you it makes me want to cut them again! 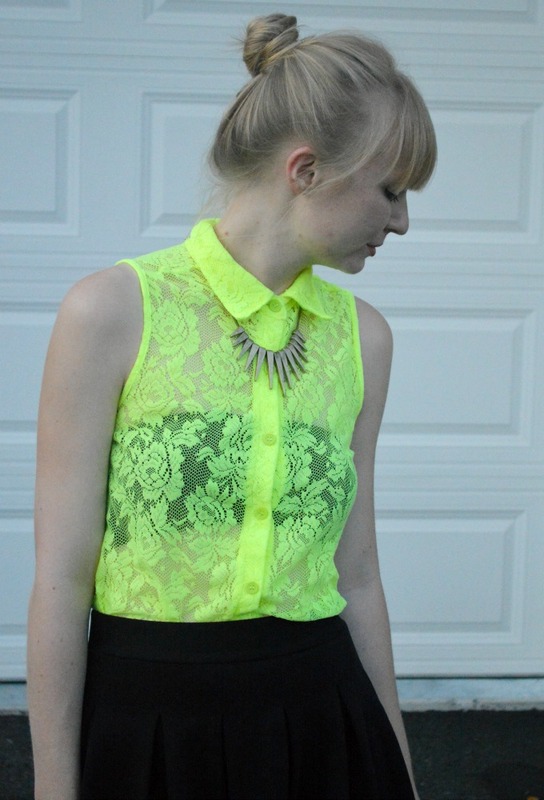 Such a cute outfit mix of neon and black! Would love for you to stop by my beauty blog if you get a sec. I'm a mommy with a makeup problem..
You're so lovely & this style is so chic on you indeed!